A wonderful card design. Great colors too. Great coffee-themed card! Love that you created your own background. Thanks so much for joining us at Color Throwdown! This is an interesting color combo and I love how you have used it on your card. The third color would have stumped me but you got it in on the cup and then a repeat on the sentiment. Very clever. I like this very much. This is so cute. 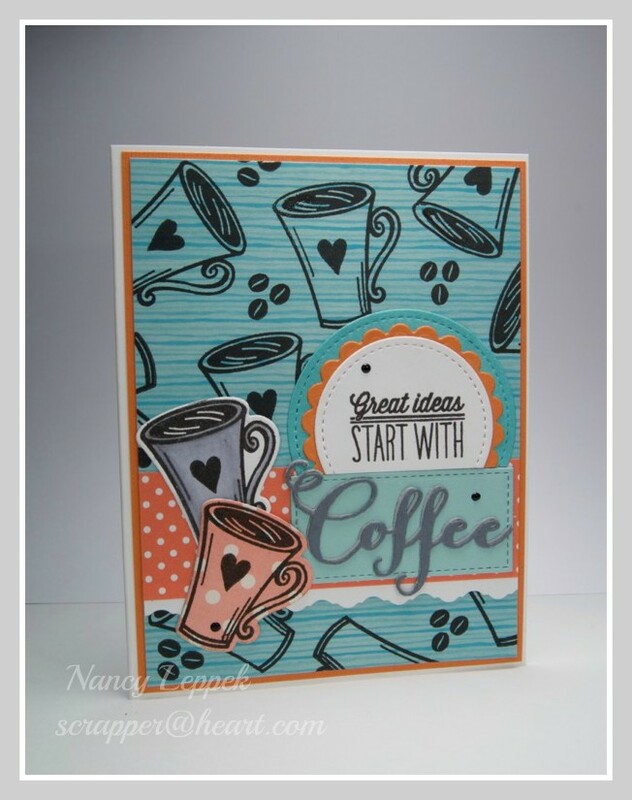 Love your stamped background paper and how you added the heart to the cup. Great design, Nancy. I love the stamping on PP for your background and the layered up sentiment. Cute, cute, cute! Love the coffee theme and great use of the colors! What a fun design! Love the patterned paper you created for your card’s background. Thanks for joining us for this week’s Color Throwdown! 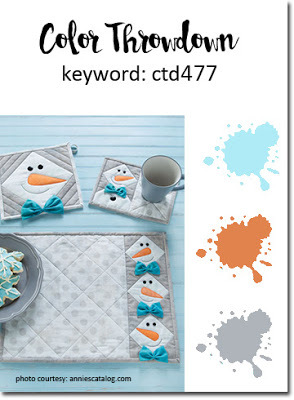 Love the fun colors and the cute cups……adorable card!